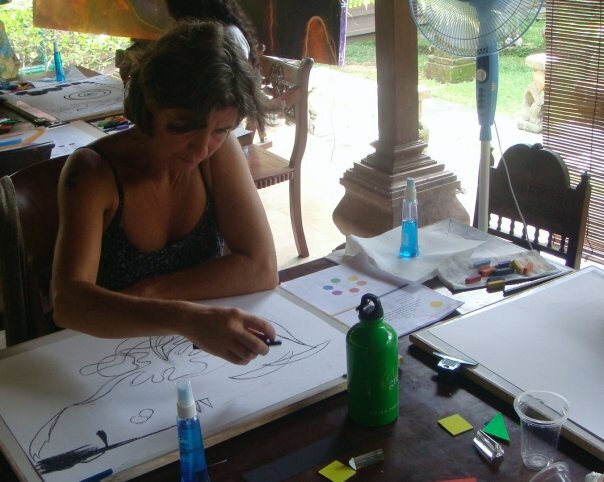 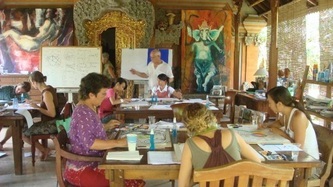 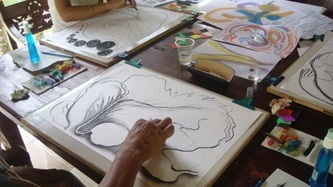 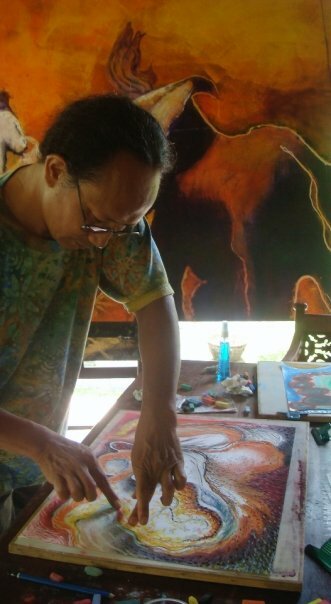 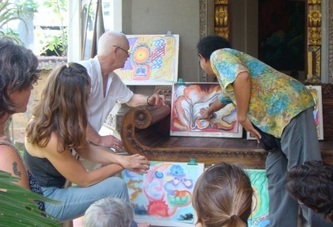 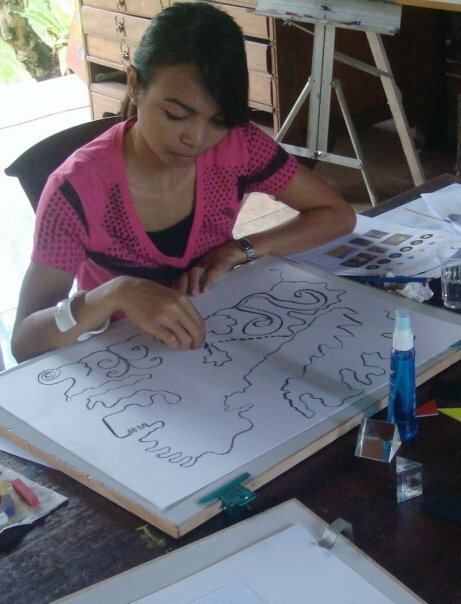 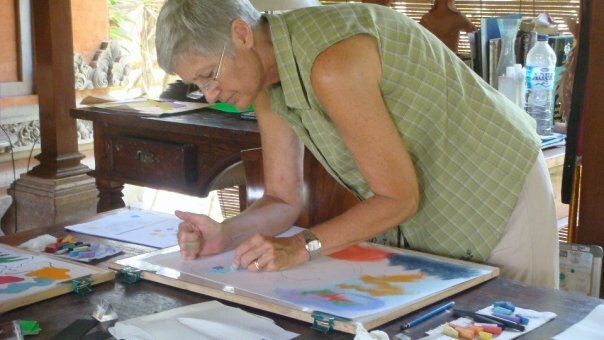 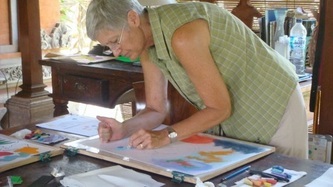 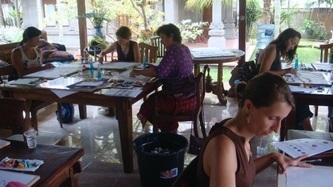 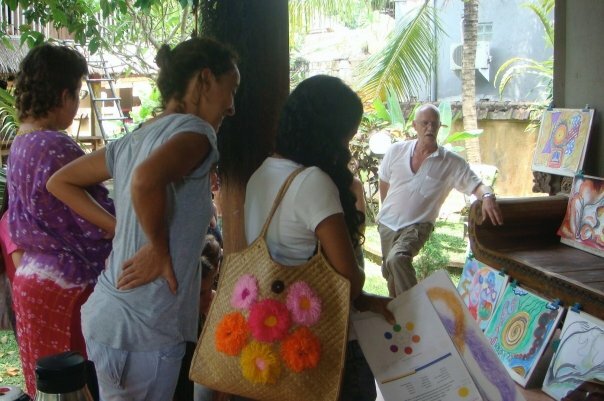 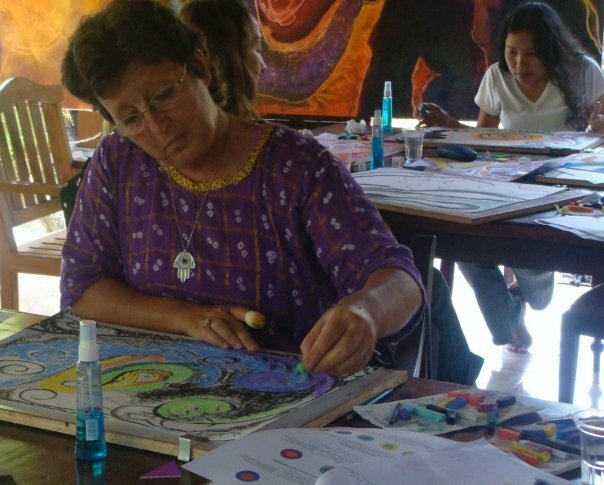 On Saturday November 7th 2010, BCAC presented a 3-hour workshop on Rudolf Steiner's color theory to a group of teachers, parents and teacher assistants at the BCAC studio in Ubud. 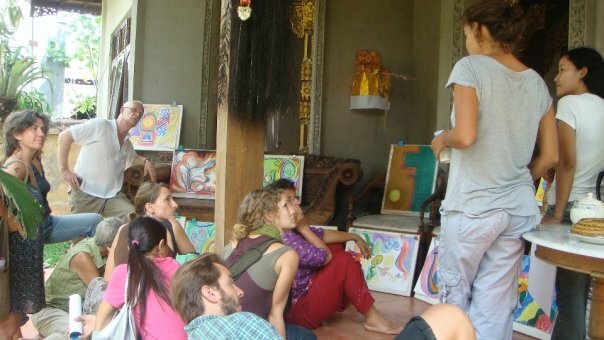 This is only the second year that this revolutionary, all bamboo schools has been operating. 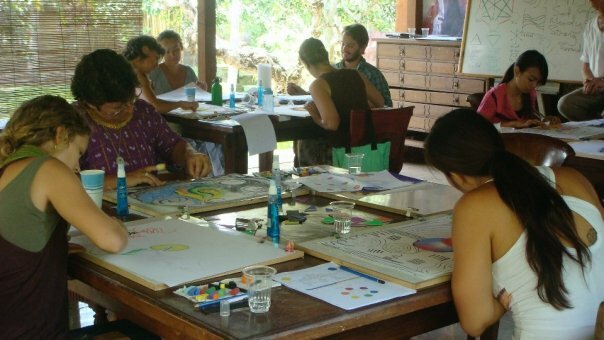 The school is energetically committed to developing a program and curriculum that is "Green" i.e., deeply concerned with world environmental sustainability, holistic in approach, and inspired and informed by the Rudolf Steiner philosophy of education. 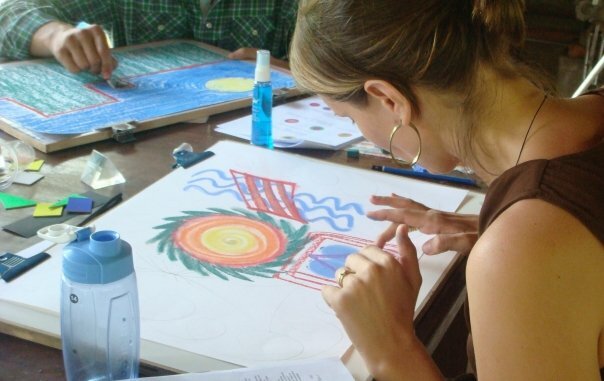 At the same time the school is establishing programmes that provide needed qualifications for university entrance, such as the IGCSE (UK) and the International Baccalaureate Diploma. 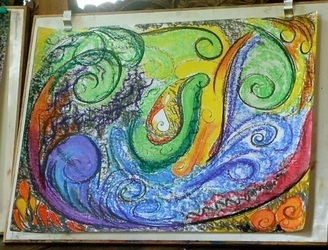 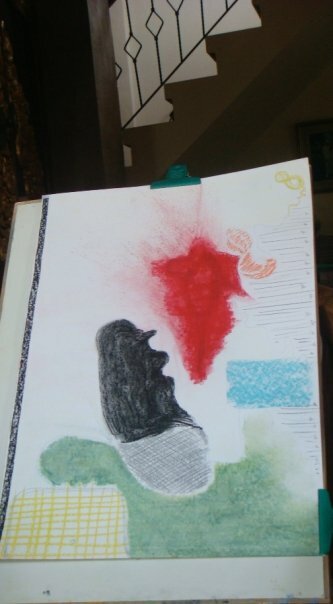 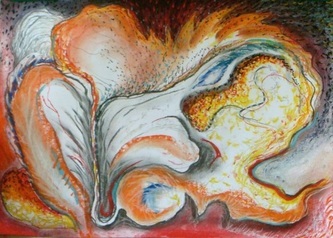 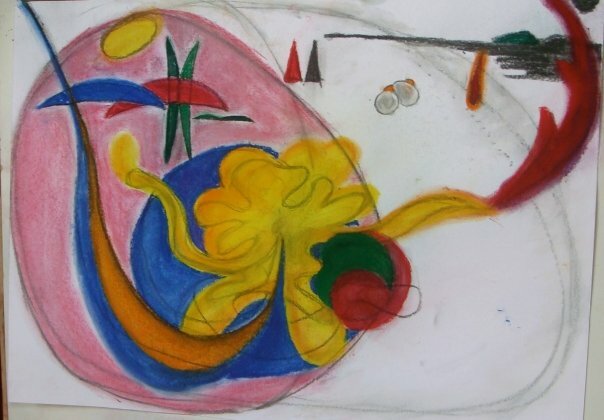 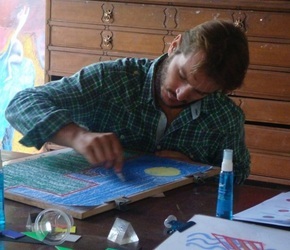 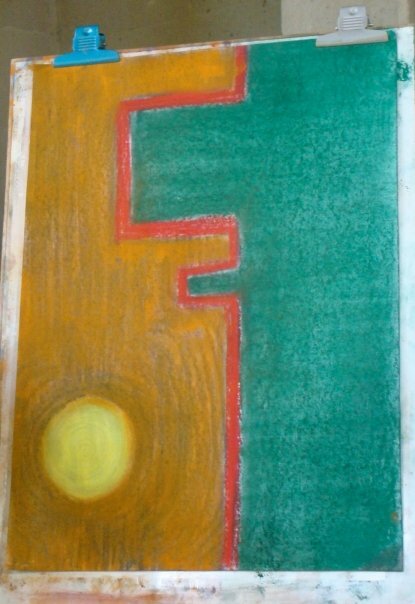 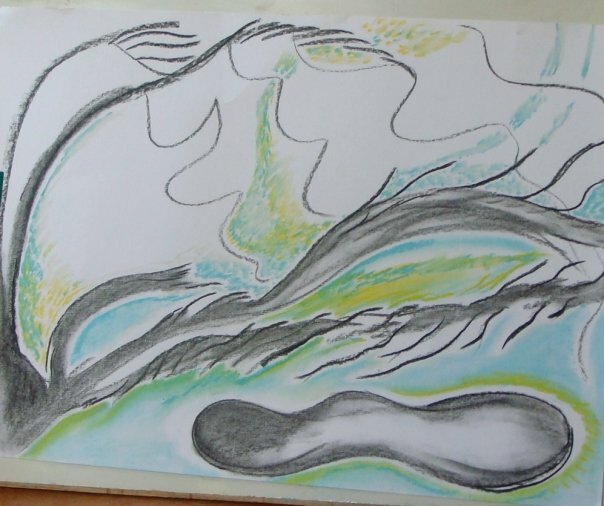 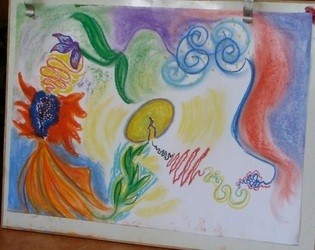 The group were given a brief but nevertheless quite in-depth exposure to the basic tenets of Steiner's color theory and carried out a series of color exercises in pastels. 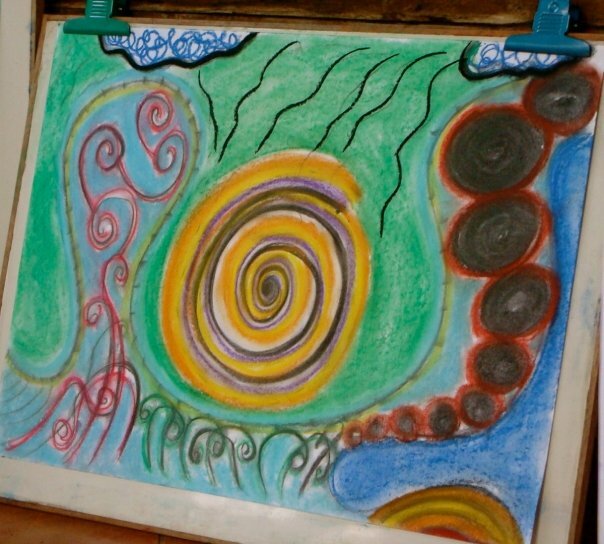 Steiner regarded a ‘hands-on’, practical approach as essential to any exploration of his theory since the experience of color needs to be deeply "felt" and experienced as a living phenomenon, and certainly not treated in a dry, merely theoretical way. The response by all concerned was outstandingly positive and enthusiastic. 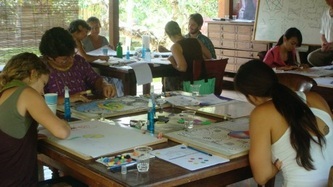 Everyone had fun and several participants were surprised, not only about the extent of their own expressive abilities, but also about changes in their perceptions regarding their own lives and/or family dynamics as a result of the culminating exercise where participants chose either their own biography or family life as a theme to express primarily in color with simple line work. There were “pot-luck” snacks and drinks contributed by participants and the session was wrapped up with a fascinating discussion where each participant explained his/her work and answered questions. This was the first of a series of workshops to take place this school year arranged by BCAC for the school. 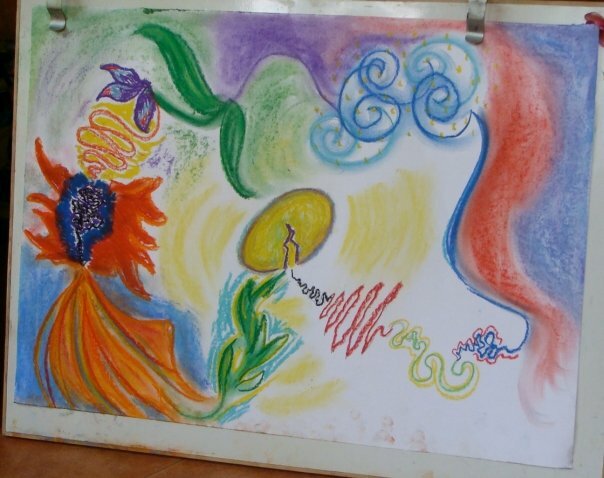 Please click on images below to view a larger picture.